A water softener removes the minerals from water that makes it hard. But, before entering into the topic of how the hard water gets soft with the help of a water softener, first, it is necessary to know what the hard water actually is? Water becomes hard when the minerals mainly calcium and magnesium get dissolved into the water. The higher the mineral concentration is, the harder the water would become. We all know that water is a universal solvent. Anything that it meets with, it gets into it or to become its part. The rainwater is actually soft in nature, but when the rainwater reaches the ground, gets mixed with the soil, and reaches to our water pipelines, it picks up different minerals that come into its way. These minerals include lime, chalk, and above all calcium and magnesium that make it hard. If we talk about the disadvantages of hard water, then it is not bad for the human health. It contains the essential minerals that are calcium and magnesium so the water can be used for drinking. On the other hand, soft water has sodium ions that make it salty and sometimes, it cannot be used for drinking. Why is it necessary to make the water soft? So here the question arises that when the hard water is not bad for health then why there is a need to make it soft? The answer is that despite being safe for drinking, hard water ruins other things that we use and do in our houses that require water. For example, it affects laundering and dishwashing. Using hard water to do laundry makes the clothes look dingy. They give a harsh feel when you touch them. They lose their softness level gradually. And if we talk about dishwashing, then the hard water causes minerals to build up in the dishes and glasses. When dry, hard water leaves the spots in the dishes due to the insoluble soap deposits. Other than this, the film on the faucets, showers, and bathtubs is the clear sign that your taps are running with hard water. Also, the hard water makes the hairs look sticky and dull. Moreover, it also irritates the skin. Hard water also makes the appliances inefficient. Furthermore, it also affects the plumbing system. 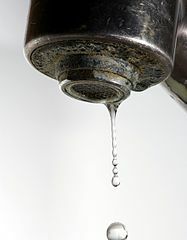 So, with all these adverse effects of hard water, how one can use it every day? Therefore, it is essential to turn the hard water into soft water to make it usable for different purposes. When the minerals like calcium and magnesium get removed from the water, and the sodium or potassium ions take their place, it becomes soft. To get more information about soft water head over to Wikipedia. Various chemical treatments are carried out to remove calcium and magnesium from the water, but the most common treatment is using a water softener. The process of replacing calcium and magnesium with the sodium ions is called the ion exchange method. Now let’s dive into the water softening process that how the hardness of the water gets removed? Many homeowners install the water softeners to turn the incoming hard water into soft water. These water softeners are plumbed into the water supply system of the homes. The first step is the “Ion Exchange” where the calcium and magnesium ions get replaced with the sodium ions. When the hard water goes into the resin tank of the water softener, the tiny resin beads equipped with the sodium ions having negative charges attract the ions with the opposite charge that are calcium and magnesium carrying positive charges. When more and more positive ions get attracted towards the beads, the negative ions leave the beads and enter into the water. As a result, the positively charged ions of calcium and magnesium enter the beads and leave the water while the negatively charged ions of sodium leave the beads and enter into the water. The second step is the “Recharging Process” that is generally known as “Regeneration”. After some time, the complete saturation of the resin beads takes place with the positively charged calcium and magnesium ions. The beads become fully loaded with these positively charged ions and thus require recharging or regeneration. This is a 3-phase regenerating cycle. So, when the regeneration process starts, first, the backwash phase comes into action that removes the dirt from the tank through reversing the flow of the water. Second is the recharging phase. In this phase, the brine solution that is present in the second tank that is a brine tank fully loaded with the salt or potassium ions gets dumped into the resin tank of the water softener. Here, the brine ions that are very large in numbers start to get rid of the calcium and magnesium ions and make the resin beads free from them. At the end of the process, the beads again get fully loaded with the sodium ions, and the calcium and magnesium ions get drained. Also, the salt water solution gets removed from the media or resin tank. Now the water softener is again ready to eliminate the minerals from hard water to make it soft. One thing that you should keep in mind is that water softeners only remove a little amount of chlorine from the incoming water. 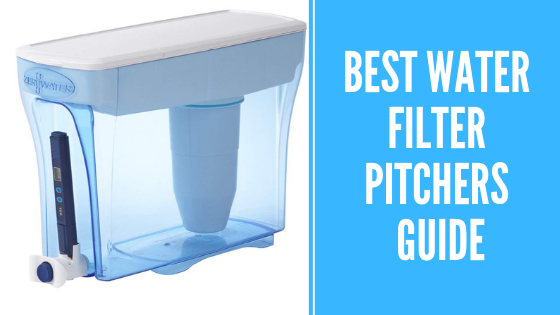 If you want to remove chlorine as well as other impurities present in the water, then you have to install the water filtration system to make your water clean and clear. 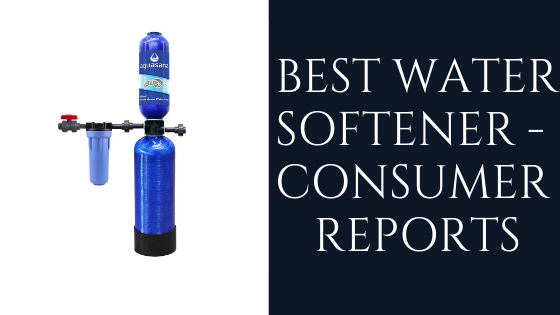 There is a wide variety of benefits of using a water softener. When the water becomes soft, it positively affects the laundry and dishwashing. The hard water weakens the cleaning power of the cleaning products, so the water softener strengthens their power and reduces the soap and powder consumption by more than 50%. Hard water takes the softness of the clothes, but the soft water keeps the clothes soft, bright, and clean. Also, when dishwashing, the water softeners help to clean the dishes, cups, and glasses thoroughly and doesn’t leave the spots. Other than this, it enhances the lifespan of the washing machine and the dishwasher. Moreover, washing the hairs with the soft water makes them look fluffy, stylish, and filled with life. Other than the hairs, it also treats your skin well. Furthermore, if we talk about the pipes, then the soft water also doesn’t clog the pipelines that result in the continuous and good flow of the water from the taps. The softener drain and the brine tank must be placed correctly. Always place the drain and the softener closer to each other and connect them properly. Also, the brine tank must be placed not more than 20 feet above the water softener. Constant AC supply is required for the water softener to work. If your area frequently faces power failures, then you have to make the arrangements accordingly. Also, it is necessary to make sure that you are supplying the same voltage that is required by the unit to operate.